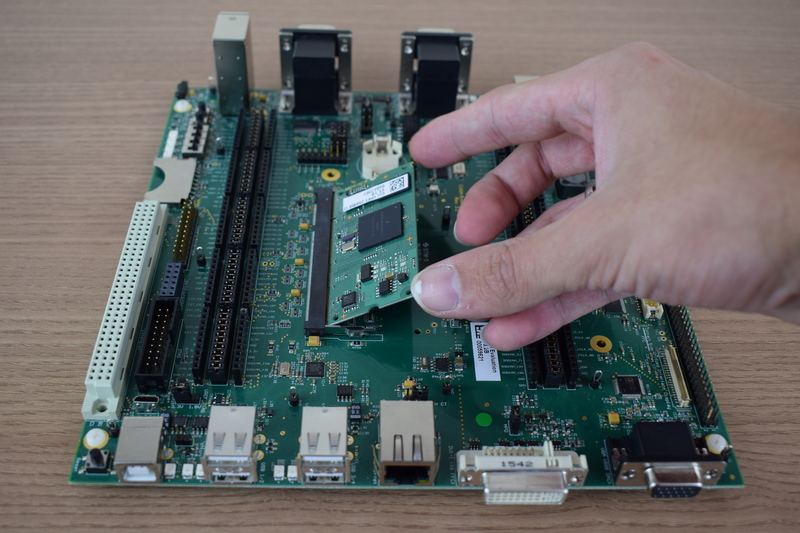 In this first lesson you will go through the process of unpacking your computer on module and carrier board and assembling the hardware. 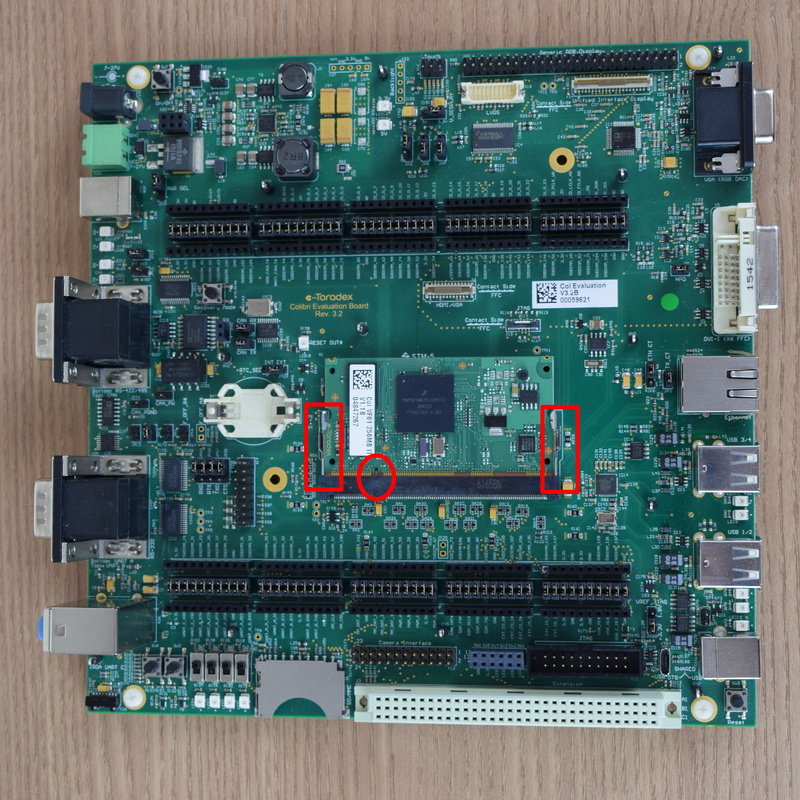 Note: The Colibri iMX7S module has only one USB port. 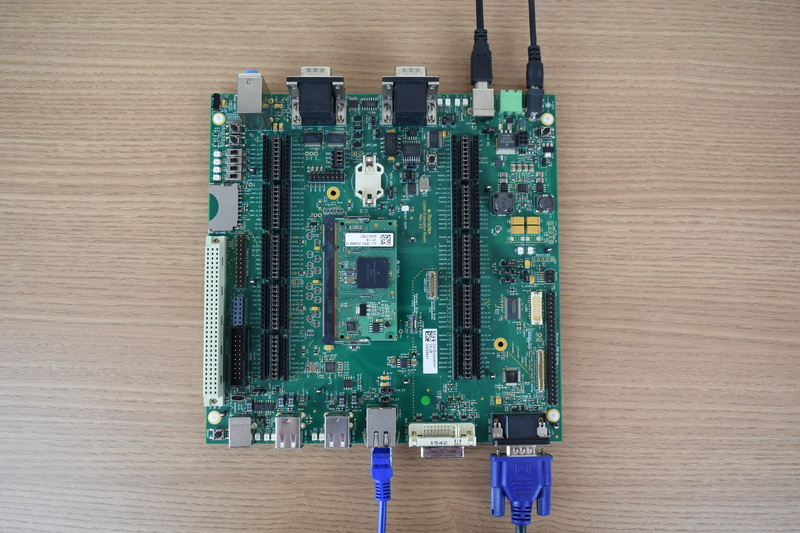 On the Colibri Evaluation Board, it is available through the shared micro USB (X30) and USB Type-B (X29) connectors. 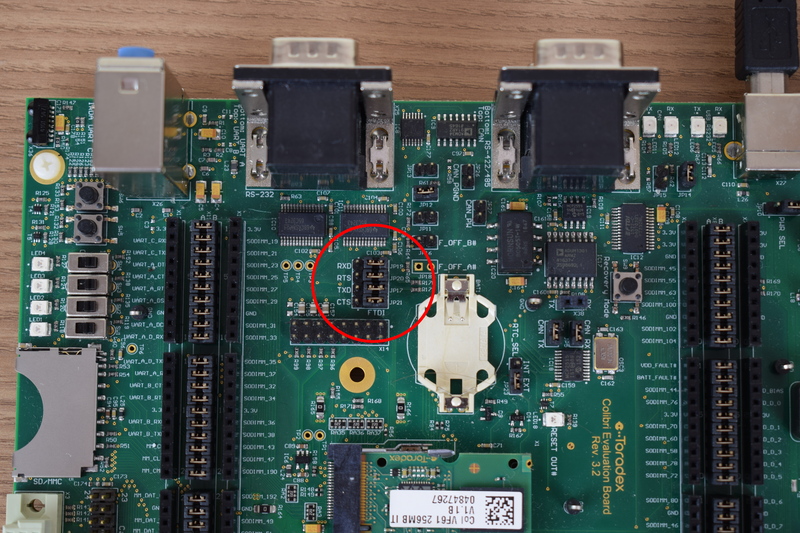 Attention: Double check that your power supply is within the Evaluation Board limits (7-27V) and that the polarity is not inverted. Also, make sure that the current capability of the power supply is enough, or the system may shut down unexpectedly. For evaluation purposes, a 12V power supply with at least 2A is recommended.